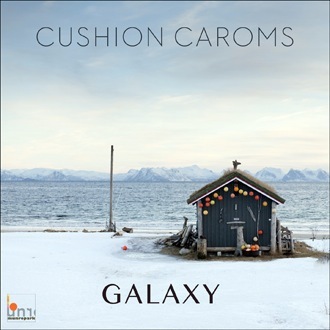 Out now: Cushion Caroms – „Galaxy“, the long-awaited debut album of my collabo with Se­ñor 1605munro. Check it on iTunes! MIDI LIDI recently surprised me with a lovely remix of a Miwon track that never got released. It’s part of their huge remix compilation “Remixy Vás“ – available as a free download. Miwon remix of “Drei Akkorde“ by Chartbusters from Heidelberg – listen here. Great documentary on Berlin VJ legends telematique & u-matic, featuring Miwon and BETON music. Der grüne Heinrich – BETON version. Miwon podcast for Various Vegetables. 10/201010 years of lovely n5MD music – congrats from here! The Oakland based label has assembled a compilation featuring songs from the catalog covered by a hand picked group of artists, including Miwon: I recorded a version of „Amidst“ by Another Electronic Musician, check it out here. „The Reconstruction Of Fives“ will be released on November 16.2010. First Miwon track ever on CD – snapshooting the state of harsh art and neu noise in 1999. It’s somehow different, but I still like it! 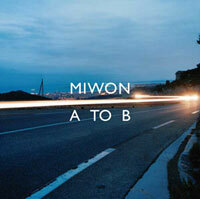 Interview blog by Emöke with various electronic artists, including Miwon. Check it out! I did a remix for Boy In Static’s digital single „Young San Francisco“. The original song is available as free mp3, and there are two more remixes by Montag and Styrofoam. 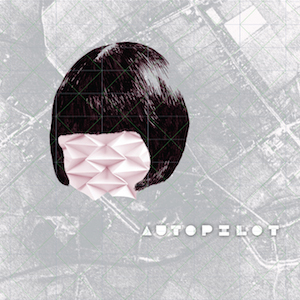 You can preview the single at Boy In Static’s Last.fm. 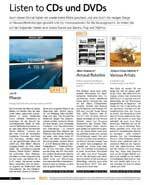 „A To B“ among Beatport’s Top 20, Mixmaster Morris‘ Nubient charts and record of the month in Keys magazine. 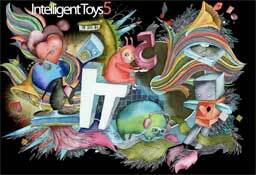 Free Miwon tune on „Intelligent Toys 5“, compiled by Sutemos. My new album „A To B“ is out – available in your favourite record shop or here. Release party on October 22 at Monarch (Berlin). DJ-Support by Hendrik Lakeberg (CCO) and Multipara (Lux Nigra). Visuals by u-matic & telematique. Desperados – audiovisual installation by Miwon, telematique and u-matic. Even-tempered, as it seems, those tiny desperados occupy the centre of the scene: their leaves are moving, in sharp contrast to the automobile headlights in the background. At eye level with the weed, the different speeds of life become visible. Desperados is shown on several monitors. The new Takashi Wada album on Onitor contains several collaborations with Berlin artists. Takashi and me produced two songs together, called Brand New People and Sinewave Wonderland. Other co-producers for the album are Guido Moebius, Robert Lippok, Gebrueder Teichmann, Kassian Troyer and Vladislav Delay. „Laptik“, the new Digital Gadget-compilation, features various musical approches, constrasts and parallels, sending out from a bunch of glowing Berlin harddrives: Helvetikone, Bogger, Jeff Pils, Menu:Exit and Miwon. My track is called „Make My Day“. More info here.